Order in the next 1 hour, 4 minutes an 37 seconds for same day shipping. Mod Podge Photo Transfer Medium. Create decals or appliques from any original photo. Use it on hard surfaces or fabrics that you can handwash. 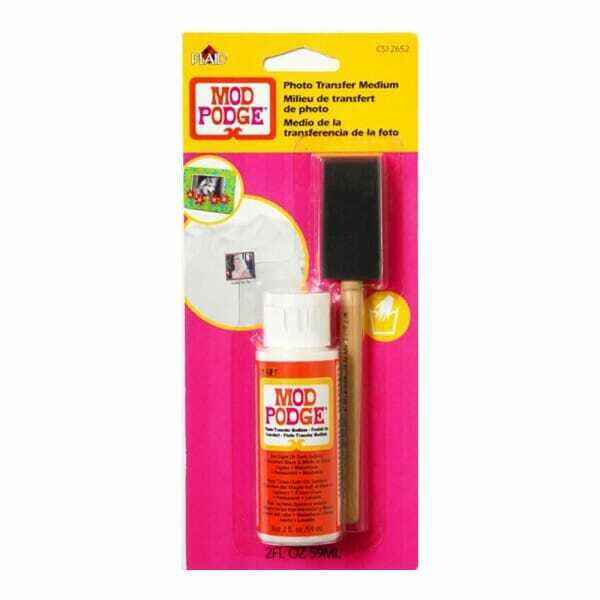 Customer evaluation for "Mod Podge - Photo Transfer Med 2oz Carded"